Find here the best OzAutoElectric coupons and vouchers. 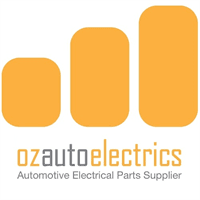 Ozautoelectrics Pty Ltd is an Australian company that supplies auto electrical parts nationwide and internationally. Auto electrical parts are sent to any address in Australia via registered mail, express postage or the fastest available freight carrier of your choice. For larger orders and trade account clients, your regular freight company can be easily organised. Everybody has a car! Ozautoelectrics.com offers the world a full range of high quality auto electrical parts at the click of a button! We stock leading quality brands like Bosch, Hella, Delphi, Deutsch Valeo, Narva, Lightforce, plus many more. OzAutoElectric offers an international shipping and free Express Shipping on orders over $250 within Australia. They ship direct to you from warehouses in each major capital city and regional centres. So if the parts you order are not available from your closest warehouse, they’ll most likely have the same parts at another warehouse so you are supplied as soon as possible.